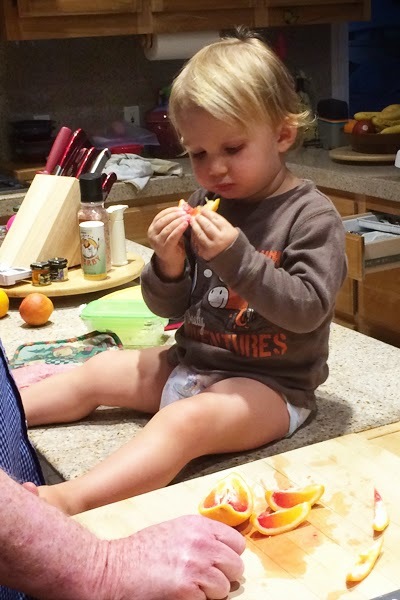 Not sure why Opa waited until Oma gave Reefie his bath to feed him these juicy homegrown Blood Oranges . . . . neverthehey he really enjoyed them. The blood orange is a variety of orange with crimson, almost-blood-colored flesh. The fruit is roughly the same size as an average orange, but sometimes can be smaller or larger; its skin is usually pitted, but can be smooth.